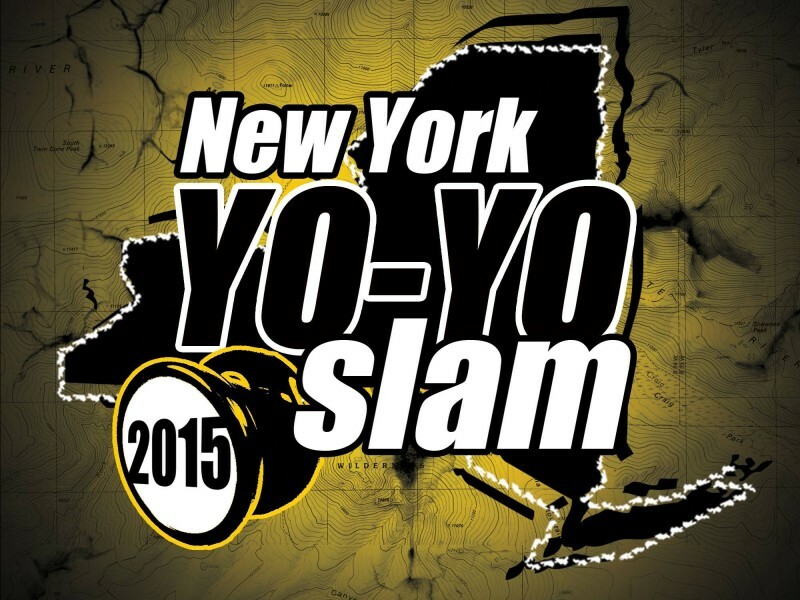 The Ringdama was invented by professional juggler, Daniel Holzman. 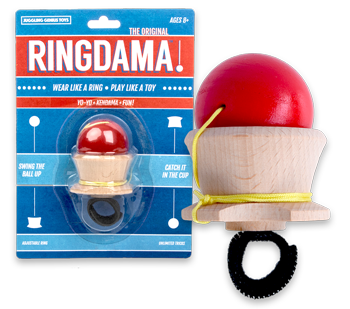 With its unique cup design, tethered wooden ball (like a kendama) and adjustable Velcro strap, the Ringdama allows players endless trick possibilities. 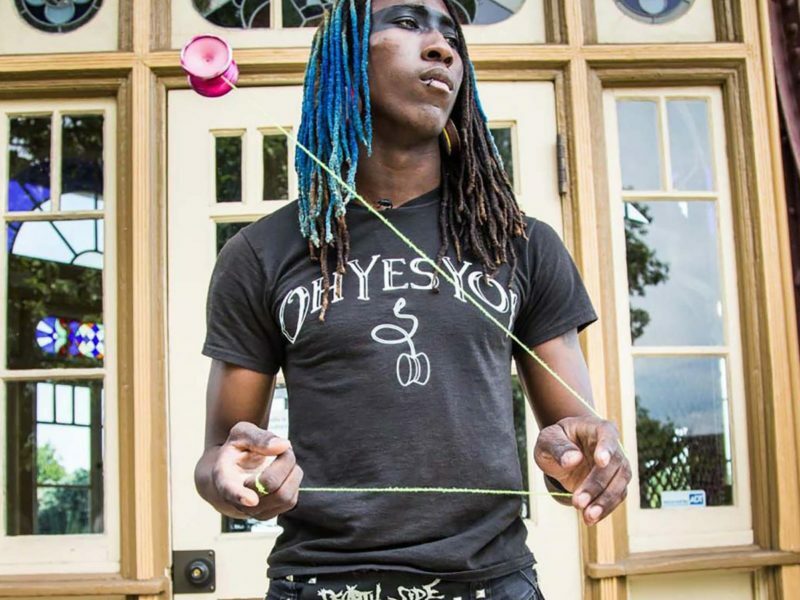 Worn on your finger like a ring, the Ringdama combines techniques from Yo-Yo, Kendama, Begleri and Poi Swinging into one pocket sized skill toy….